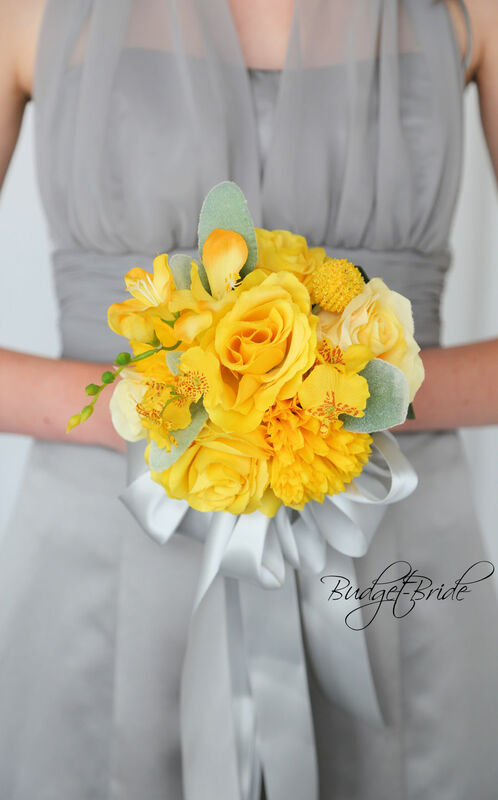 This matching bouquet is an 8 inch bouquet made with yellow roses, oncidium orchids, billy balls, freesia, frosted greenery and yellow mums. 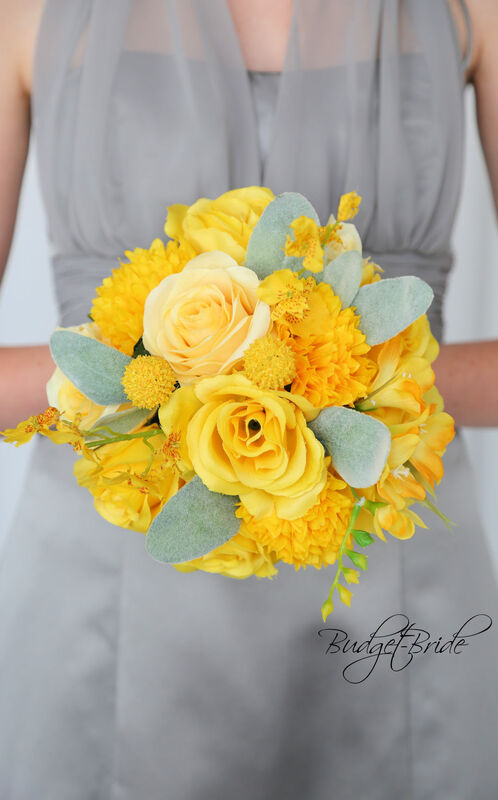 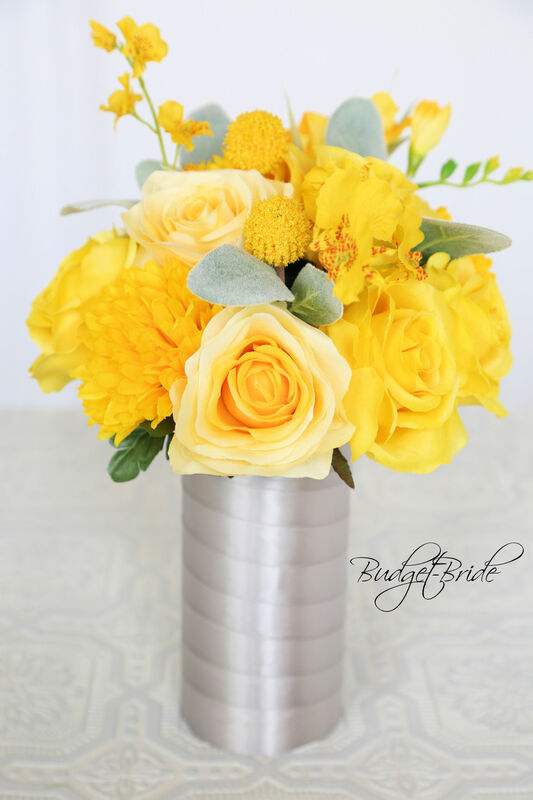 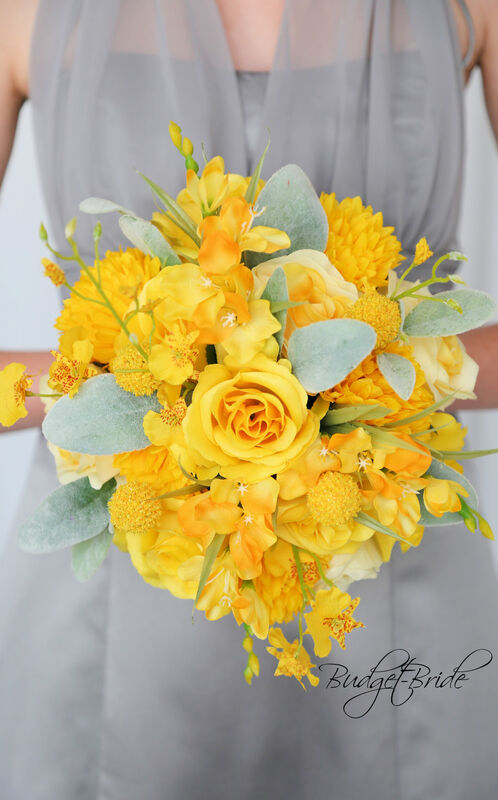 This matching bouquet is a 6 inch bouquet made with yellow roses, oncidium orchids, billy balls, freesia, frosted greenery and yellow mums. 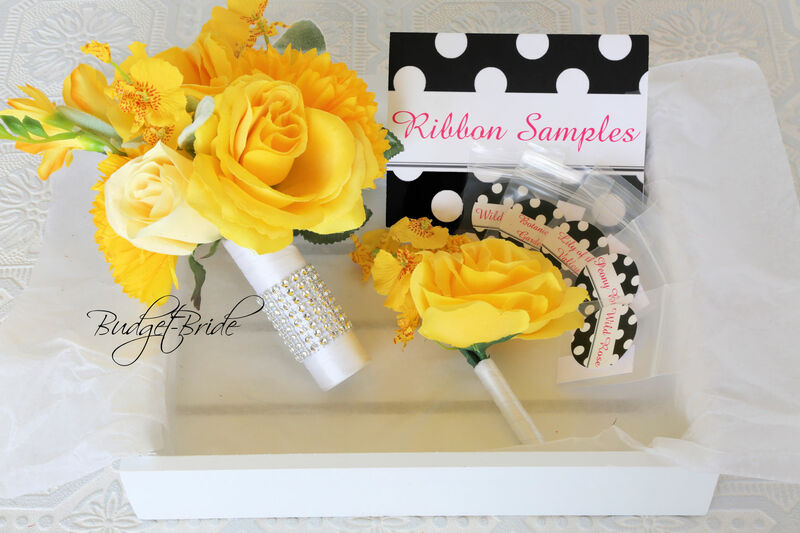 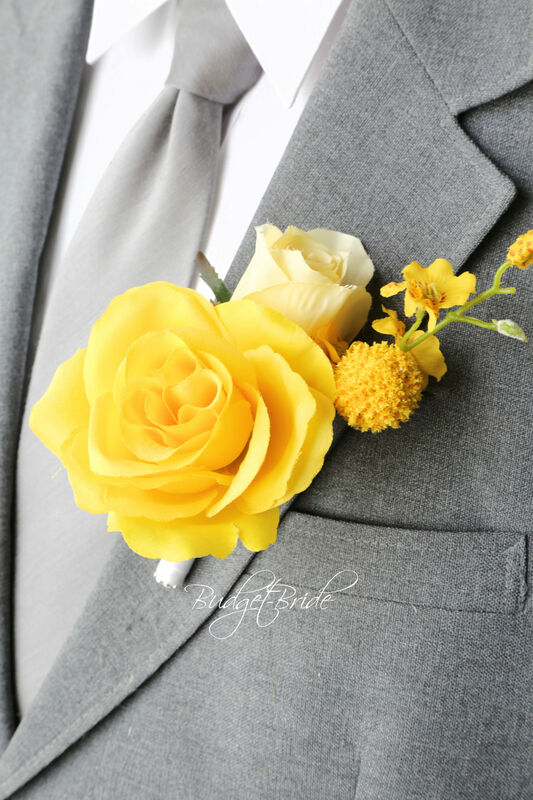 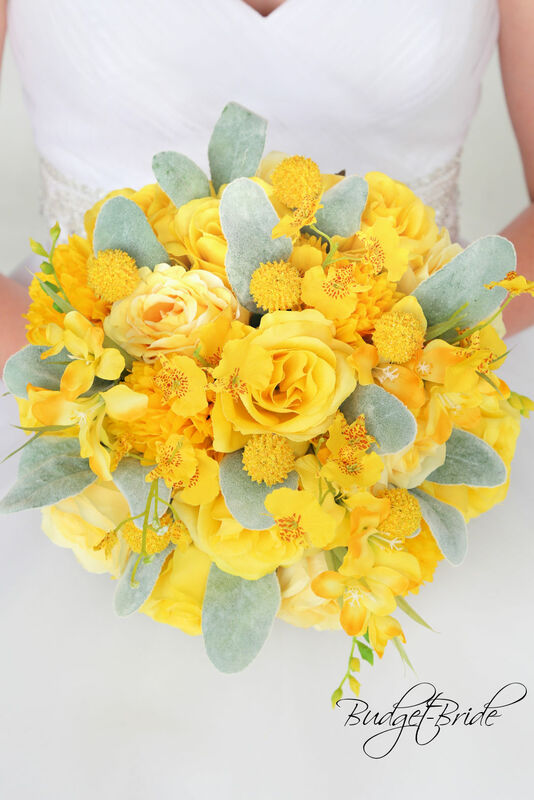 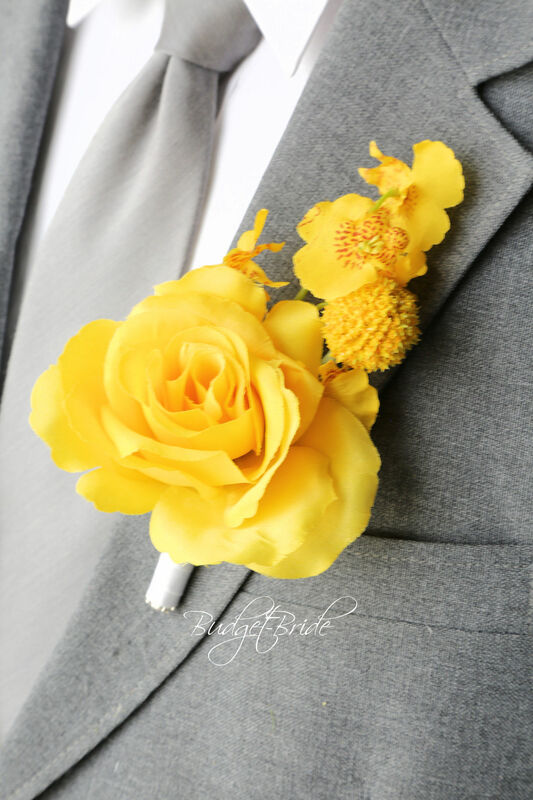 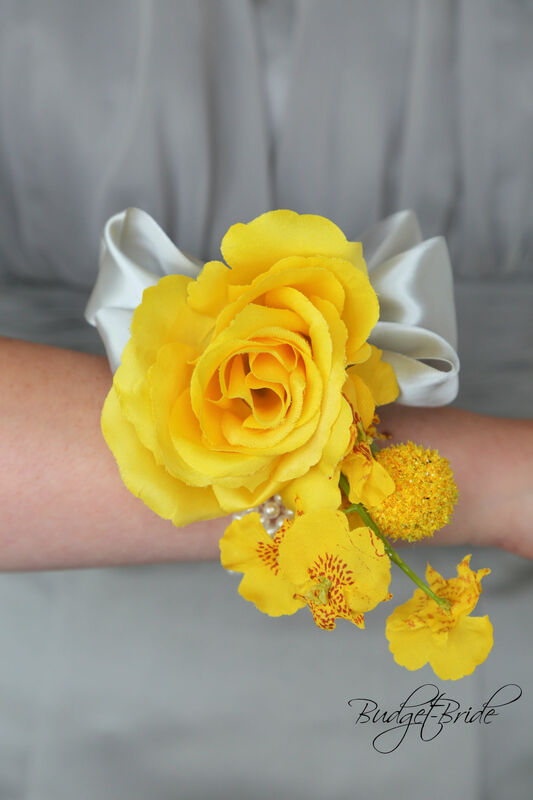 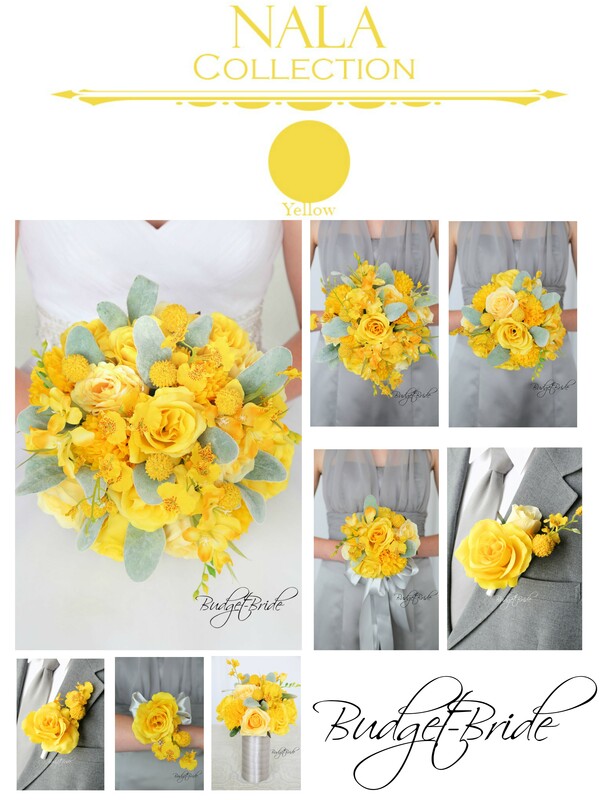 This matching bouquet is a 4 inch bouquet yellow roses, oncidium orchids, billy balls, freesia, frosted greenery and yellow mums.